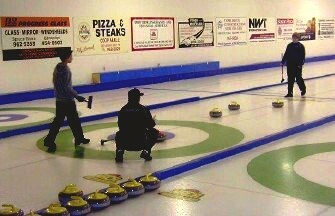 On January 14-16, the 2011 NACA Optimist Juvenile Curling Playdowns took place at the Spruce Grove Curling Club. 12 Boys rinks and 7 Girls rinks participated. As a result, the Ben Bellamy Boys rink from St. Albert, the Josh Deibert Boys rink from Saville, the Kelsey Rocque Girls rink from Granite, and the Kataryna Hagglund Girls rink from Crestwood will now represent NACA in the Alberta Optimist Juvenile Curling Championships in Coaldale on March 4-6. The Coaldale CC is looking forward to hosting these championships and the Optimist reps that will attend. Optimist Clubs are encouraged to attend the Championships and to display their banners during the event. At previous Provincial Juvenile Curling Championships, the District Governor has spoken at the ceremonies during the event. Keivin, Brian and Samantha Wallace attended the event and the Edmonton Dinner Club banner was displayed during the playdowns. Roger Holm is the event Chair in Coaldale and is our contact for the Alberta Optimist Juvenile Curling Championships. Please let me know if you plan to attend or if you need more information. Originally submitted by Opt Mike DeNicola. You can contact Opt Mike for more details. A few words of invite from our Governor, Tim Bell. The President’s Pride Report is now available online for the 2010-2011 year. 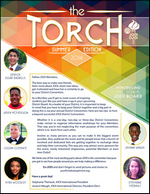 Clubs can begin filling out the form to stay updated regarding Club accomplishments throughout the year. 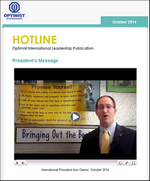 Just log in to Optimist Leaders at http://www.optimistleaders.org/. After logging in, go to the Reports link on the right side of the screen, then scroll down to the President’s Pride Report. Clubs can save changes as they go along. Those who would rather start filling out a hard-copy form can download the form. The latest revisions to the District Directory are now available for download. DST Marilyn has highlighted in yellow all of the changes so they will be easy to spot. We thank those clubs for contacting DST Marilyn or Optimist Gord with updates to their club contact information. Please review your personal and club information and report any changes to DST Marilyn. Producing the original version of the District Directory is a time consuming task and the DST relies on the changes that club submit through Club Officer Election Reports. This is a subtle reminder for clubs to submit their COER immediately after their club elections this spring. Changes throughout the year should be submitted to OI using the Club Roster Adjustment (CRA) forms, and you can email changes to the DST. This is a friendly reminder that the early registration deadline of February 4th, 2011 is only three weeks away and clubs / members are encouraged to register early to ensure that you receive the early bird discounts. Just complete a Registration Form and book your room before they are all reserved! This form has been revised to include the email address and phone number for Brian Hauck. You may need to hold down the SHIFT button when you click on the link. This will ensure that your browser loads the edited version of the file. Hotel Accommodations: Heritage Inn, 1590 Main Street N., Moose Jaw, Saskatchewan, Canada. Call (306) 693-7550 or 1-888-888-4374 for reservations. Both a "Kids" and a "Companions" Program will be available so you can bring the entire family. The theme is "Mardi Gras" so get your costumes ready. It is with great sadness that I send this message to you. Marion Cummer, wife of Optimist Bill, passed away on Thursday, Jan 6th. Bill Cummer has been a long time and devoted Optimist, and always active with the Optimist Club of Calgary and High River Optimist Clubs. With an active Optimist father, Denise Dolph became active with both the Optimist Club of Calgary and the Dinner Optimist Clubs. Both Bill & Denise have served on the District executive. Please remember Marion in your thoughts and prayers. Here is a PDF copy of Marion’s obituary which includes details about the services. 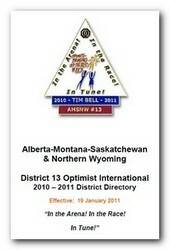 Many of you have noticed that the Edmonton Dinner Optimist Club has recently published a new website. We are preparing a set of tutorials on how that site was created. The tutorials are organized into collections called modules, each with a set of lessons. The plan is to publish one lesson per day (except Sundays) so there will be six lessons published per week. 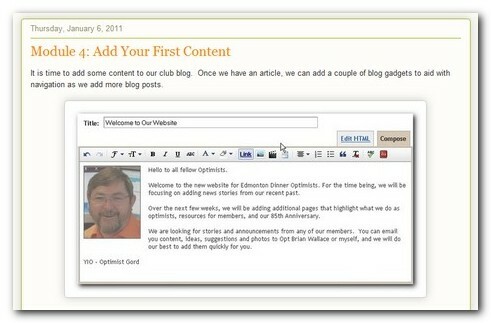 We added lessons back-dated to start December 1st, 2010, so there are now 26+ lessons published. If you want to get a look at the outline plan for the entire "online course", we invite you to look at "Build a Club Website With Blogger". We are going to add a blog feed in the right column that will display the 5 most recent lesson titles so that you can open a new lesson as they are published. Each lesson has comments enabled, so if you have a question or would like to comment on a lesson, we invite you to participate. Lessons will get revised and corrected based on reader feedback in the comments. Optimist International is excited to announce a new incentive that helps Clubs stay healthy and help more kids in their community! 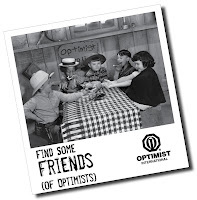 From January 1 - June 30, Clubs will be rewarded for making new Friends - Friends of Optimists that is. Clubs that add 3 Friends during the second and third Optimist quarter will receive 3 rewards! The addition of a new traditional Member at no processing charge. Waived dues for that Member until September 30, 2012. A special Club banner patch. We want to see your Club succeed! Go to www.Optimist.org/FindSomeFriends for helpful Friends recruiting tips! P.S. Keep an eye out for a Friends application in the next issue of The Optimist. Your International Board of Directors is seeking your input as we review, evaluate and possibly update the International Awards/Recognition program for our organization. We ask that you please take a few minutes to complete this survey. Your ideas will be extremely valuable as we move forward. Upon completion of the survey, you will be entered into a drawing for an exclusive Optimist prize. 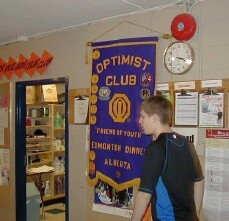 Welcome to the Edmonton Dinner Optimist Club who have just published their new website. They invite you all to come and take a look and leave a comment. Thanks go to District Web Services who helped to design and launch the website. We have also just published a "Clubs Online" page listing the webpage and facebook page links to clubs that have online resources. We ask all clubs to check this page and confirm that we have you correctly listed. If your website has changed, or if your club is not listed, please contact our District Web Services Chair - Opt Gord.